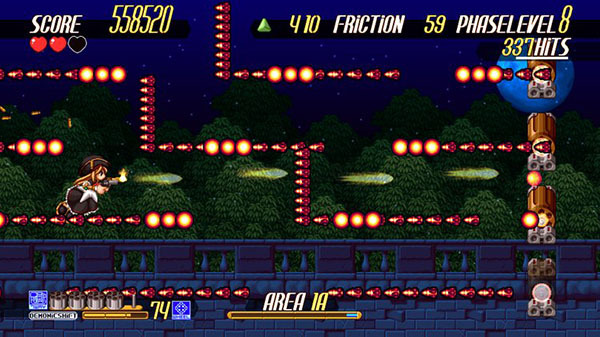 A rebuilt version of the side-scrolling shoot 'em up. Gundemoniums will launch for PlayStation 4 and PS Vita via the PlayStation Store on February 1, 2018 in Japan for 1,500 yen, publisher Mediascape announced. The March-announced title is an original side-scrolling shoot ’em up developed by Platine Dispositif. It offers high-speed gameplay with systems that advocate swift attacks and quick turns, and is highlighted by its unique enemy barrages described as “Bullet Labyrinths.” Gundemoniums is based on the 2003-released PC game Gundemonium and the 2007-released remake Gundemonium Recollection. It is a rebuilt version that includes various new elements such as new characters, new systems, and full widescreen support.